One of the biggest financial sites is Motley Fool. Founded by Tom and David Gardner, their website shares stock investing tips and they also offer investors a few subscription services. One of those services is Stock Advisor. Every month Motley Fool sends their Stock Advisor subscribers two stock picks they have researched and they feel have excellent growth potential. Their strategy is simple, just buy and hold the two stocks and in 10 years they will be worth a lot more. Using a buy and hold approach kind of makes you wonder why you need the service after the first month. You have your two stocks. Maybe extend your subscription one extra month and add two more stocks for diversification. That’s all you need of this service. 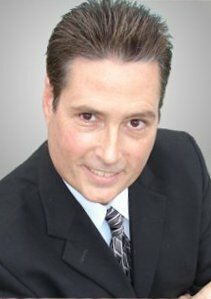 Your not told when to sell. Tom and David do not believe in timing the markets so you just buy and hold for 10 years or more. While subscribing to proven services such as Stock Advisor is the fastest way for anyone to get into the action when they first start, investors should still use caution. There are many similar services out there to choose from. You want to look for those that give you the biggest return and the smallest amount of time invested. Make sense? In my review, I’m concerned with only two factors, returns and price. If the service is free, then 1% annually is good. However, if you’re paying two or three figure sums each month, you better be getting a good return for your investment. In this review, I will compare Motley Fool Stock Advisor against my own Index Trading System. There are some similarities (price and number of trades each month) but some big differences also which you should consider before subscribing to a service. Stock Advisor advertises a return that is 2x better than the S&P 500. This return comes to you at a cost of $19 per month. 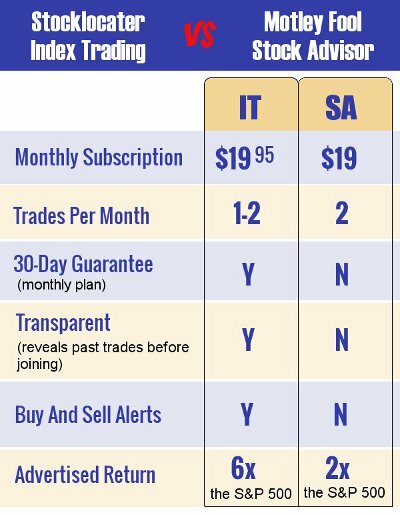 For a cost of 95 cents more every month, Index Trading System delivers 6x the S&P. That’s 3x better than Stock Advisor! It’s a big difference for less than $1 more! I understand that past performance is no guarantee of future performance, but I feel a lot safer viewing someone’s track record rather than disregarding and investing blindly with no track record. Another thing I’m not thrilled with when it comes to Motley Fool Stock Advisor is that you can’t preview their past trades BEFORE you join. AND since there is no 30-Day guarantee when you sign up for monthly billing, there really is no way to verify they are even getting 2x the S&P. Our Index Trading System allows you to view our past trades BEFORE you commit to a subscription. You can even look up the prices to verify our claims. Since the Index Trading System invests in only one ETF at a time, there are no missing trades in our returns. Every trade is accounted for, there are no gaps in time. You can view the returns here. 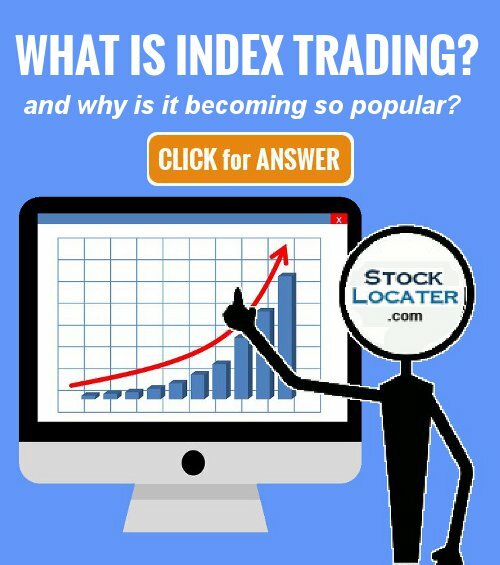 There is no guarantee that Stocklocater Index Trading System, or Motley Fool Stock Advisor will do similar gains in the future. Click this link if you would like more info on my Index Trading System and how you can get bigger returns for almost the same subscription fee.